I’d never really intended to take the kids to Iceland all by myself. Things just sort of happened that way when Rasho had a work event and I took that week off to watch the kids. 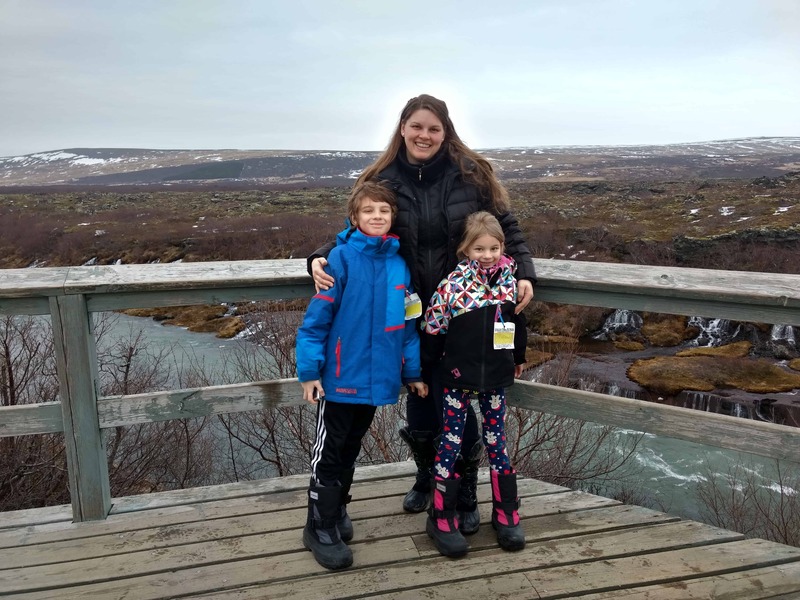 Then, because I just can’t squander vacation time and not go on trips, we decided the three of us would go somewhere special together: Iceland! I knew it was the perfect destination to try things out on my own. It was a learning experience, but definitely more positive than I could have imagined. Honestly, I’m not the most organized person in the world (unless I’m in a job interview. Then I’m a super efficient, organized self-starter! ), but crossing an ocean alone with two kids, I kicked into high gear and became a maven of lists and checks and planning. It paid off big time. All of our documents and tickets were printed and arranged in the order we’d need them; snacks were planned and packed from home; entertainment packs made up for each kid; and extra supplies divided amongst our three backpacks. Like most flights from Toronto, we arrived super early in the morning, so I booked our hotel from the night before so we could go straight to our room. 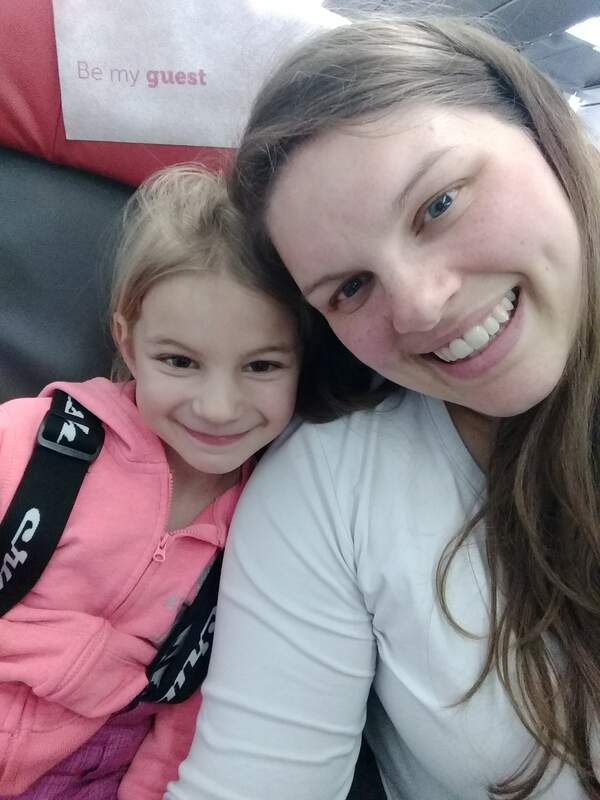 Figuring things out on the fly is usually our style, but in this case, thorough and careful planning saved us a lot of money and meltdowns all around. Rasho and I have each taken the kids to the US loads of times with no issues. I’d heard that parents travelling alone with the kids should get a letter of consent from the other parent, but I thought that was only for families who have custody agreements. 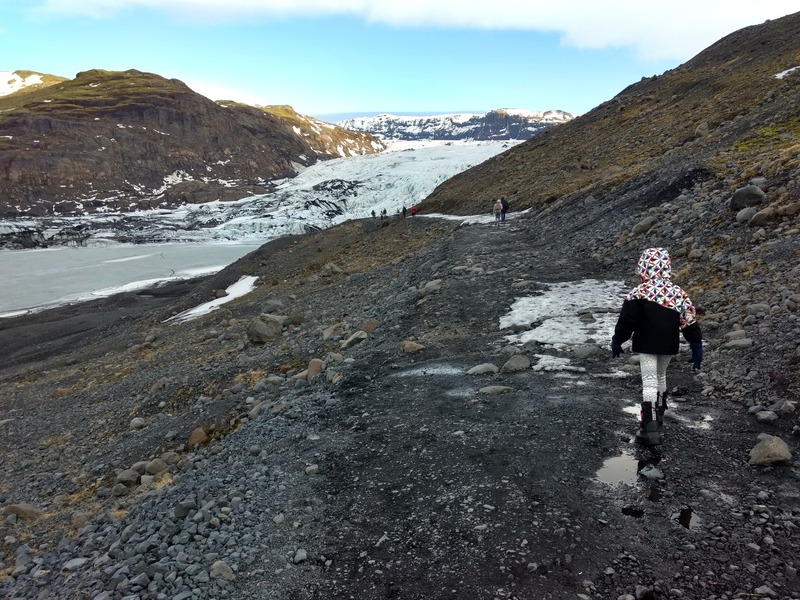 You can imagine my shock when we arrived in Iceland and the border agent told me very sternly that I needed that letter from the other parent. She finally let us in, but I got the same warning when we left Iceland to return to Canada. I felt like such a dummy for not thinking of that, and it was super stressful when I thought we might have to turn back. Don’t let that happen to you! This is more a preventative measure for personal sanity. I made a general rule that on buses, planes, and waiting at the gate, the kids do not sit next to each other. One will invariably enter the other’s personal space, erupting in a noisy and irritating kerfuffle that I really wanted to avoid without any co-parental backup. There were times when they really wanted to sit together, which was fantastic, but it was the exception not the norm. I’m pretty carefree, but on this trip I kept imagining worst case scenarios and wanted to be prepared for everything. I made information packages of documents, emergency contacts, and insurance details and tucked them into the kids’ backpacks. They knew there were some important papers in there, but I didn’t fully explain because I didn’t want to freak them out. I, at least, had peace of mind knowing that if anything happened to me or if we got separated, they had the information they needed to get help. I ran a tight ship on this trip because we were on a schedule, and we had lots of items to keep track of. 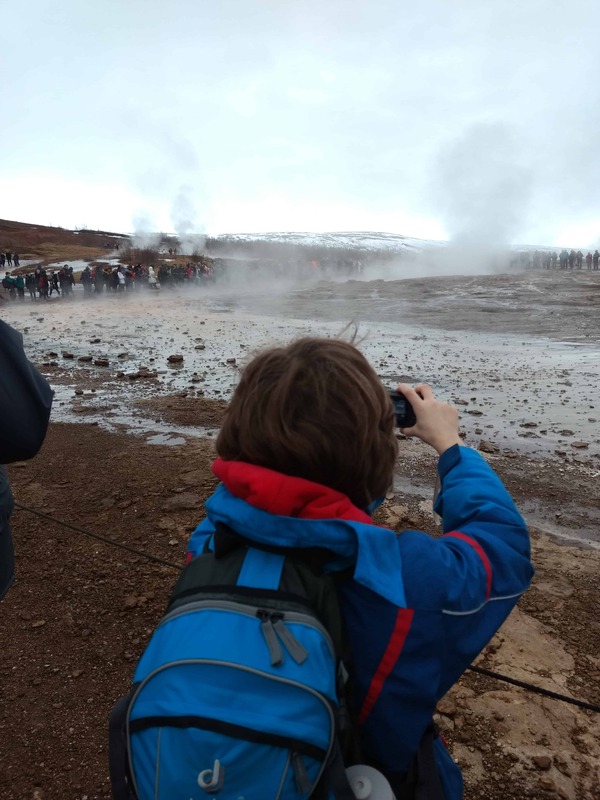 I wanted the children to get as much out of beautiful Iceland as I was getting, so when they had opinions on what to do or if they just wanted to play with me, I listened. This is how I ended up falling off a playground zip-line into an enormous mud puddle – under the cover of night, thank goodness – and waddling back to the hotel to throw out my pants. It became our funniest memory! I operate under the belief that most people are good and the odds of bad things happening are low. It was incredibly rewarding to allow the children small freedoms and to trust them with some responsibility. We talked about each place before we arrived, went over known dangers and how to interact respectfully with nature, and then I gave them space to appreciate each place in their own way. It was a really cool bonding experience for the three of us and we all came away more confident in ourselves and in each other. Have you tackled a trip alone with kids? Got any tips to share? Comment below!